Dr. Cox and his staff are very friendly and knowledgeable. The treat their clients with respect and Dr. Cox is a very good dentist. Highly recommended. Myself and my family have been going to him for 10 years. Bridgetower Dental is an amazing place to receive all dental work. The front desk ladies are always friendly and very helpful. My favorite are the dental hygienists, they are so so kind and very gentle on my gums and teeth. Dr. Cox, is great!!! Very friendly, personable, and always gives his honest opinion on the best dental care. I switched to Bridgetower last year and it was the best switch my teeth could have asked for !! I have been seeing Dr. Cox and his team since I moved to Meridian 4 years ago. I am picky when it comes to dentists (I used to work for one several years ago) and I am pleased to say that the entire staff is wonderful! 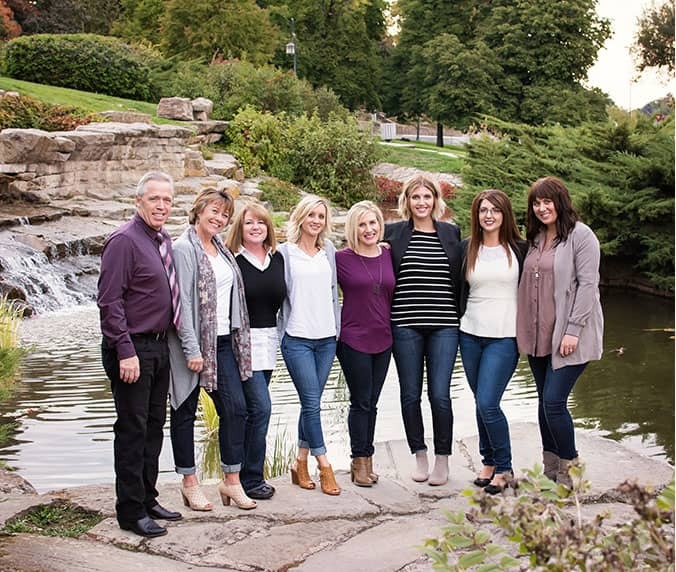 I appreciate Dr. Cox’s honest opinions about what services my family and I need, the atmosphere of the office, and the care that the hygienists and assistants give, The front office staff are most kind and cheerful, making me feel like family. Thank you, Bridgetower Dental! My husband and I have been using Bridegetower Dental for a number of years. And we recently began taking our children in to Dr. Cox, rather than the pediatric dentist they previously saw. We did this because Dr. Cox responded to an emergency call we had when one of our kids broke their front tooth on a weekend. (We tried calling the pediatric dentist but got no response at all.) As each of our kids met Dr. Cox, they each asked “Can I start coming here to this dentist?” They loved how he interacted with them and we are so appreciative of the kind of care we get from everyone at Bridgetower Dental. Dr. Cox has set the standard by which we will now measure all dentists. When I hear the word dentist or dentil I immediately tense up and remember as a child awful, painful and down right scary experiences. So for at least 35 years of my life I avoided dentist visits unless I was in terrible pain. As an adult, the few times I have visited a dentist I was completely terrified during my entire time in the chair and this is coming from an ex football player, ex military and ex-police officer. Five years ago I had a pretty serious tooth problem and visited Bridgetower and met Doctor Cox. Doctor Cox immediately recognized my fear and apprehension and said he understood and would do his best to make my visit as pleasant as possible. Well to me this meant nothing and I just braced my self for the terrible poking and prodding. I was a bit surprised how immediately, the entire experience changed and how all the assistants as well as the doctor began to explain everything they were doing, showed me the tools and explained how they work and what I might feel. This was unexpected and actually made me feel a bit better even though my grip on the chair still remained firm. After the initial assessment Doctor Cox set up another appointment the next day and explained the sedation process which I had never been offered before. The next day I arrived and was completely relaxed and at ease due to the medication I had taken that morning. The procedure was completely explained and I was at complete ease and comfort throughout the entire procedure. I travel and live outside the US most of the year but every time I am back I visit Bridgetower who along with Doctor Cox and his team has earned my trust and respect for how they handled me and my fear. Don’t get me wrong I am still afraid but knowing that I am understood and the Bridgetower team is there to take care of me gives me a bit of relief each and every time I go. If you are not afraid of Dentist you will enjoy every aspect of the professional care and treatment you will receive at Bridgetower. And if you are like me, you will wonder afterwards why every dentist doesn’t practice dentistry this way and you will never go anywhere else. I highly recommend Doctor Cox and his team and after your first vist you now that you have found a new dentil home. New to area. First visit. Very impressed. Did not meet everyone in the clinic but those I did meet were top notch. Work very well with your insurance company if you have dental insurance. Okay, I am a (slightly) recovered dentist-phobe, the kid with a horrible dentist story, and I don’t do reviews, so this is quite a step for me. The excellent, comprehensive, professional yet personable treatment I received from all of the staff, and, in particular, Dr. Cox and Jennifer, impelled me to comment. The staff, facilities and the application of state of the art technologies were impressive. When it came to explaining the findings of the examination, I was provided detailed recommendations and ancillary options, along with line-item costs. I felt well informed but not pressured. When I left, I not only felt that I had received the finest care available, I felt honored. It is hard to imagine a better appointment. I recently decided to look for a new dentist and I’m glad I found Dr. Cox. He’s awesome. I needed a root canal, (my third), and I’m very happy with the results! I’ve recommended him to firends and co-wokers. Dr. Cox is AMAZING. The day I finished paying for my son’s braces he caught a golf ball with his two front teeth and the golf ball won! He could not find the pieces of his teeth in the grass. We got right in that night to Dr. Cox and he restored his two front teeth so you cannot even tell they were ever broken off. Their shape and color were perfect. He also gives the best pain-free injections I have ever had.